Large light pink double flowers with darker rose midribs and lighter edges, lightly spotted centers, mildly fragrant, long-lasting and excellent cut flower. 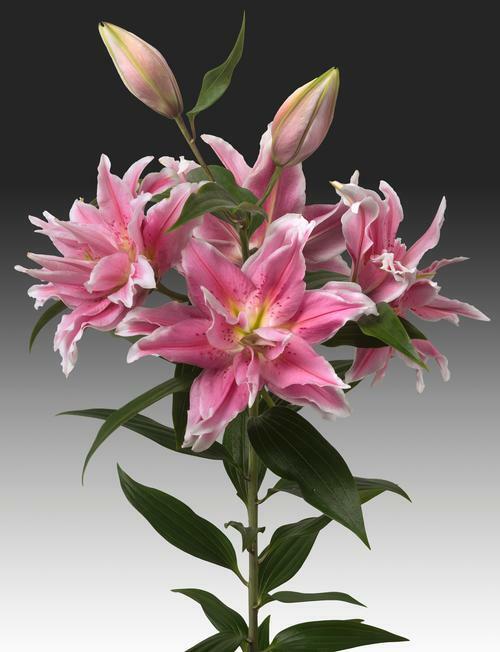 Rose Lilies often have smaller flowers than their single counterparts, but are very full. They also do not produce polllen. Their anthers have been replaced with petals, creating double flowers, with and exceptionally long bloom time in the garden.